This entry was posted in Antics and Adventures and tagged claires, headbands, kindergartners, macy's, piperism, reading, reluctant readers, writing by melissa.scholes.young. Bookmark the permalink. Piper would love that, especially since she considers you her future mother-in-law. Let the bonding begin! Piper knew exactly what she was doing. 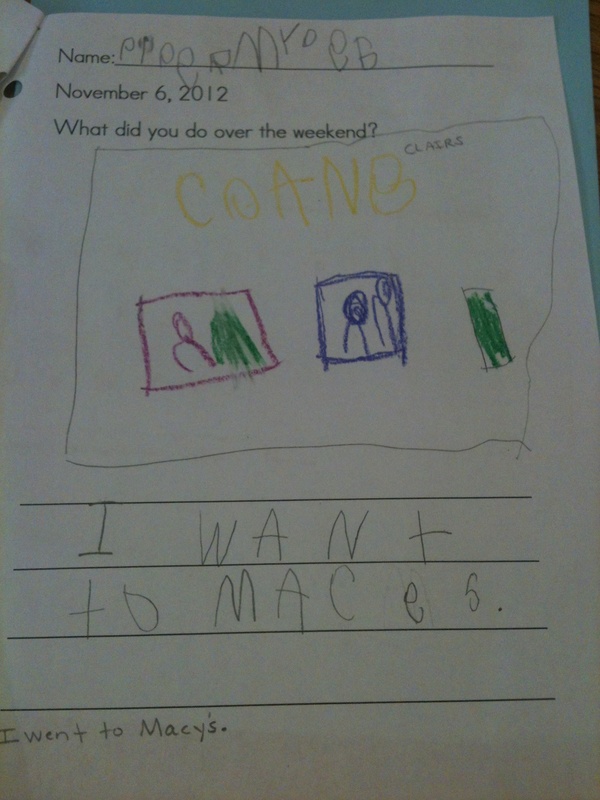 “I want to mace S” is clearly a warning to a rival classmate. But who is S? And what did he/she do? S gave Piper strep throat. I’d like to mace them, too.